Wed, Nov 7, 2018 10:42 p.m. 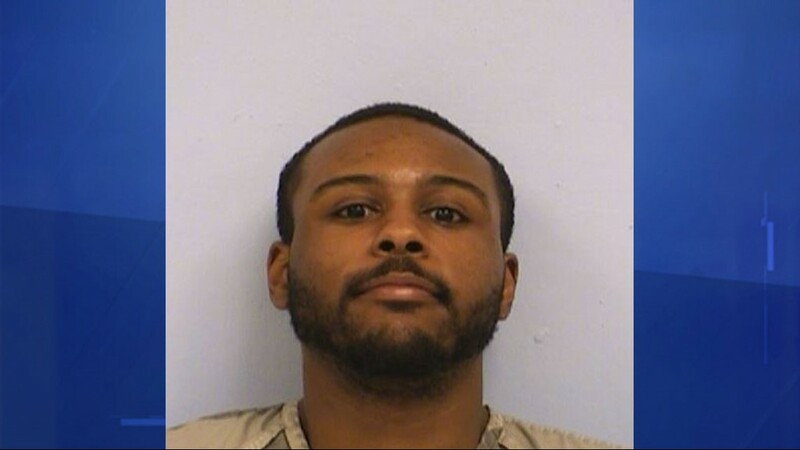 Prosecutors and defense lawyers for Kendrex White, the former University of Texas student accused of fatally stabbing another student in a campus attack last year, have chosen to resolve the matter without the assistance of a jury. N.S. : This is highly unusual. Typically, one hears of bench trials (where the judge acts as judge and jury) in cases where cops are prosecuted, because so many police-involved killings are of black and Hispanic suspects in cop-hater areas. FINALLY,ONE WISE JUDGE,IN "MOST HORRIFIC CRIME IN KENT COUNTY HISTORY." GRA:Update on a post from earlier in the week. (WOODTV)22 years after a 16 year old(Mexican)murdered a (white)man and desecrated his body, a judge has again sentenced Federico "Kiko" Cruz to life in prison without the possibility of parole. After the U.S. Supreme Court ruled in 2016 that mandatory life sentences could not be applied to minors, Cruz was granted a new sentencing hearing. His attorneys asked that his sentence be reduced to a specific term of years, saying he was not irredeemable. In court Wednesday, Kent County Circuit Court Judge Dennis Leiber described the gruesome 1996 murder of 17-year-old David Crawford in the Sparta area. The 16-year-old Cruz beat Crawford to death, dissected his heart and spine, then cut his head off and recorded himself mutilating it. "At one point, it was alleged that by doing this, he claimed it gave him supernatural powers," Lieber said in court. The video was so disturbing it wasn't shown to the jury that convicted him of murder. Leiber said that upon rewatching it, Cruz once said the only thing he regretted was his choice of background music. Earlier this week, Cruz told Leiber, who presided over his initial trial, that he had been molested by a cousin as a child, a trauma that set him down the wrong path and led him to fall in with a bad crowd and start doing drugs. He said at the time, he believed he could communicate with demons. Now 39 and having spent more than half his life in prison, he said he has been rehabilitated. But in handing down his decision, Leiber said Cruz's progress, including working toward a degree in ministry from Calvin College, does not mitigate that he is a sociopath. For Crawford's family, it was justice again. But it won't make up for losing the gentle, artistic boy who wanted to be a Disney illustrator. "I just want him (Cruz) to know there is no way our family would have asked the court to let him out. We want him in prison for life," Crawford's mother said. GRA:This has been called the most horrific murder in Grand Rapids and Kent County history.I noticed on this report and many others,where the parents have to revisit the court to see that a violent criminal remains locked up,how absolutely worn out the parents are.They've aged severely.Not only do these thugs kill the victim,but collaterally kill their loved ones(slowly) as well. Woke up early today,turned on FOX and saw a bulletin,concerning a large scale shooting at a bar in Thousand Oaks,California.Reports of 11 shot and multiple fatalities,including the gunman. There was a crowd of 200 at about 11pm PST,when the perp,using smoke bombs and a gun,walked in and opened fire.One officer,responding to the call,was shot. And what was and is the immigration status of the perp?